It was shocking, especially coming from a former captain of the neighbouring country's cricket team. Bangladesh wicket-keeper Mushfiqur Rahim is known for his baby face, and also for his mindless batting with three balls to spare during the match against India on March 23. But now perhaps he is best known for his senseless tweet, trying to mock Team India, following its exit from the World T20. 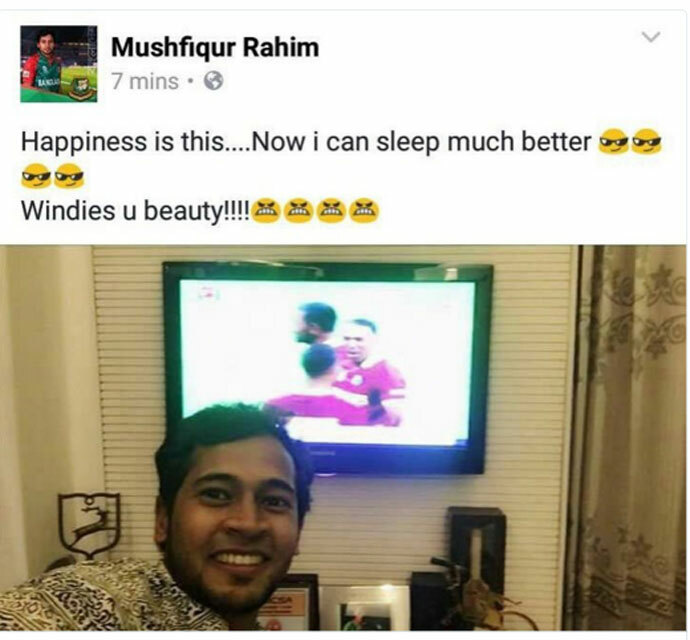 Never imagined Mushfiqur's intellect would complement his looks so well, especially considering he is a former captain of the side! The hallmark of great Sportsman is to respect your opponent and that's the difference between Bravo and Mushfiqur Rahim.. This is the umpteenth occasion that Bangladeshis have tried to get under the skin of the Indians, perhaps as a cover for their own lack of abilities. 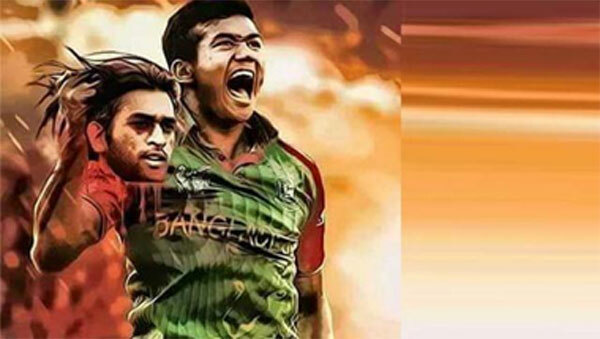 Before the Asia Cup final last month, for instance, an image was posted on social media depicting Bangladeshi bowler Taskin Ahmed carrying Indian captain Mahendra Singh Dhoni's severed head. 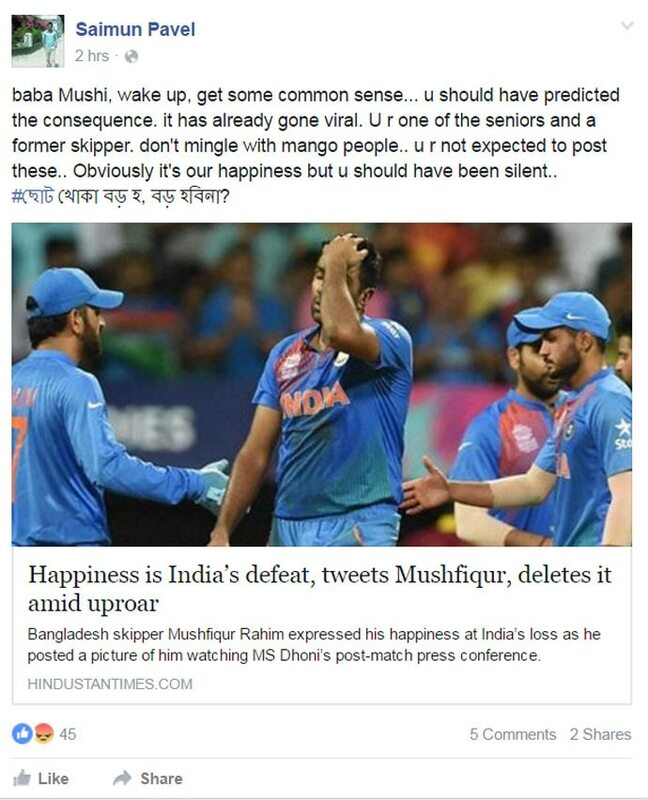 That piece of mischief by Bangladeshi fans got castigated on social media, and what's worse for the "Tigers", it was Dhoni who hunted them down in the Asia Cup final, hitting 20 not out off just seven deliveries, with two towering sixes and a four, putting paid to any hopes Bangladesh may have had of a comeback after Shikhar Dhawan got out. This was just one example of the nuisance that Bangladeshi fans have been creating. I will resist the temptation to list them all here, for that may take up the entire length of the article, but now such mischief coming from a Bangladeshi international, that too a former skipper is simply not on, and goes to show the immaturity of the cricket fans and cricketers of that country alike. A "bachcha" in every sense of the term perhaps. 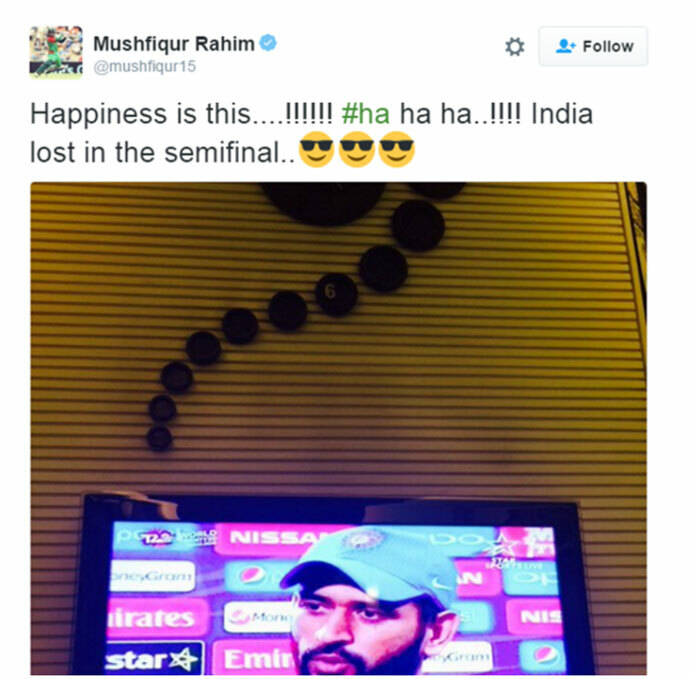 Mushfiqur would do well to acknowledge that it was his own fault that he blew the chance his team had against India. Perhaps it is a case of sour grapes for him. If he thinks India's exit would have saved him the blushes, he is wrong. Because at the end of the day, you are known by what you do on the field yourself, and the West Indies can't salvage your pride for you. His tweets have ensured, in fact, that respect (whatever was left of it) for the Bangladesh team among the cricket fraternity has been dented permanently. I daresay, there was a degree of sympathy for the Bangladesh team, the way they fought against India, many even drawing parallels with that unforgettable match in the World Cup 1999 semi-final match which saw South Africa snatching defeat from the jaws of victory against Australia. The last line in Bengali translates to: "Grow up, little kid, won't you ever?" Aptly put. The Bangladeshi wicket-keeper had tweeted an apology later. Sorry to all of you guys...as i am a big West Indies supporter but anyway sorry again for some harsh words...!!!! But dear Mushi, the damage had already been done.